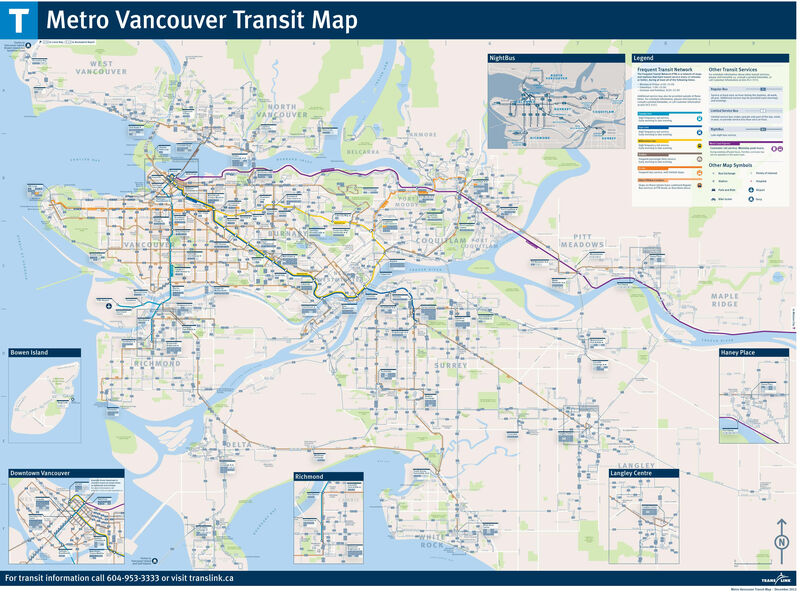 El Metro Vancouver (officially called “SkyTrain”) It is located in Canada. It was extended with new stations in the year 2009, currently 49 Tube stations along 69,5 Km (43,2 Miles), which is to have on average each station 1418,4 meters (1551,1 Yards). Click on the map to enlarge Vancouver. Official website of Metro Vancouver. The Metro Toronto (known as “Toronto Subway and RT”) is located in Canada. The latest extension of this meter known, was made in the year 2002, currently 74 Tube stations along 71,3 Km (44,3 Miles), equivalent to a station each 963,5 meters (1053,7 Yards). Official website of Metro Toronto. The Montreal Metro (officially called “Montreal Metro”) It is located in Canada. The latest extension of this meter known, was made in the year 2007, currently 68 Tube stations along 69,2 Km (43 Miles), which is to have on average each station 1017,6 meters (1112,9 Yards). 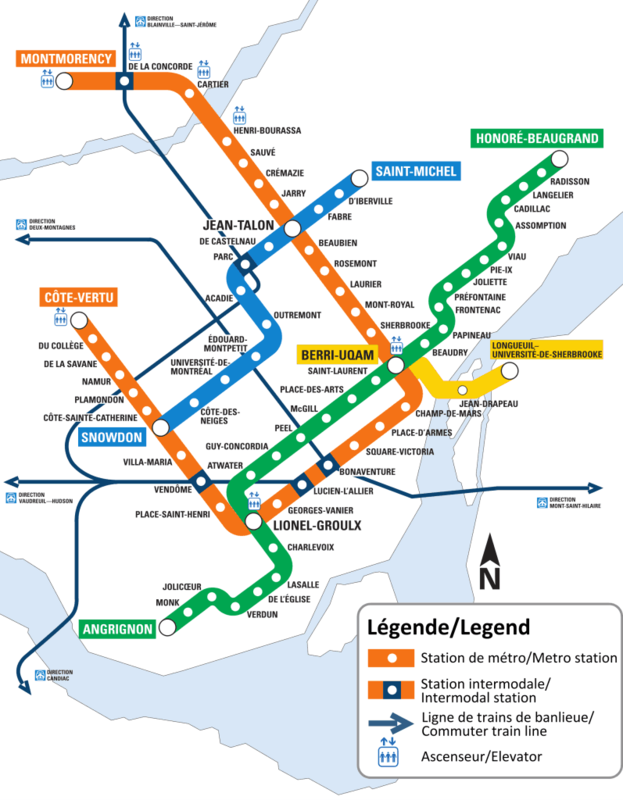 Click on Montreal Metro map to enlarge. Official website of the Montreal Metro.